We offer very competitive pricing and friendly service with volume discounts available starting at just 200 liters! REBATE ALERT! Save 2¢/litre when you try our ValvTect Marine Fuel! 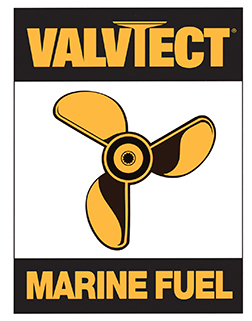 Conditions: Offer valid on 1 purchase only of up to 1100 litres (minimum 400 litres) of ValvTect Marine Fuel purchased between January 15, 2019 and July 15, 2019. At False Creek Fuels, marine fuel pricing is set on a daily basis. Please note that we are unable to provide a quotation for future dates; we can only give you today’s price. We offer very competitive pricing and friendly service! We have volume discounts available starting at just 200 litres! NEW TO 2019: WE NOW OFFER A CASH/DEBIT DISCOUNT!!! We are happy to provide you with a fuel price quotation for today’s date – simply fill out the form below – we will do our best to get a price to you ASAP. Alternatively, call us at 604-638-0209. If you are a marine commercial enterprise, consider a Commercial Account.